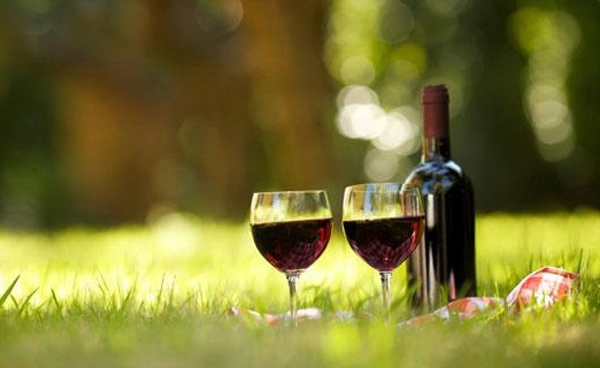 Red wine is one of the most popular alcoholic beverage consumed world wide. There are many red vine varietals produced in wineries in different wine producing regions. The hues of red wine come from various sorts of red grapes. The grape varietals produced in different wine regions (ex. Shiraz wines) differ in colour and taste. This is result of the differences in the environmental conditions in the regions where red grapes are planted, such as climate, temperature, rainfall, and condition of the soil. Another feature that differentiates red wines one from another is the colour. The main segment that determines the distinctive colour of the red wine is the grape skin. Therefore the colour of the red wine may vary from reddish, deep purple and even blue. The final colour is determined during the fermentation process. Also this factor influences the dispersion of the tannin in the grape juice. Here’s a list of the most popular red wine varietals that are produced and consumed all over the world. The origins of cultivating this dark, heavy-skin grape dates back to the Roman times. Today, this red wine varietal is one of the most popular on the wine markets in most countries. Shiraz wines are produced in more regions in the world, including Australia, California, the French region Rhone Valley and other wine producing regions with hotter climates. This wine varietal is known as Shiraz only in Australia, in all other countries it is called Syrah. Although the taste and aroma of Shiraz wines produced in different countries can differ, the basic characteristics of this wine are the same. Namely, what characterizes this red wine is: deeply coloured full body texture, aromas of berries, black pepper and smoked meat, low to moderate acidity and firm tannin. With origin from Bordeaux France, now produced in almost every major wine producing region, Cabernet Sauvignon is one of the top three most consumed red wines globally. The main flavour characteristics of this red wine (aged more than 10 years) are hints of coffee, chocolate, tobacco and leather, while the younger wines are characterized with light, fruit smell comprised of notes of cranberry, raspberry and plum. Merlot is another popular red wine varietal that is produced in all major wine regions. Merlot wines, in comparison to the Cabernet Sauvignon and Shiraz wines, are easier to drink. This is because of their lower concentration of tannin. For this reason Merlot if often blended with Cabernet Franc and Cabernet Sauvignon. The main characteristics of this red wine are: deep coloured full-bodied texture, low tannin, high concentration of alcohol and flavours of tea leaves, plums and chocolates.